Since it’s a Wednesday (not that there is any real significance there), we thought you’d enjoy a chance to walk away with a $25 Google Play gift card. It has been over a month since we last hooked you guys up with straight Google Play cash, and that my friends, is far too long for you to have to wait. We have five in house that will go to five awesome members of the DL community. As always, we’ve got a simple contest format thanks to the fine internet contest tool known as Rafflecopter. There are four ways to enter, but you don’t necessarily have to do all of them. Pick and choose, do one, do them all, it’s completely up to you. The more items you complete, the more chances you have to win. Oh, and U.S. entries only. These are U.S. Google Play cards that are country-locked, as far as we know. Ready? 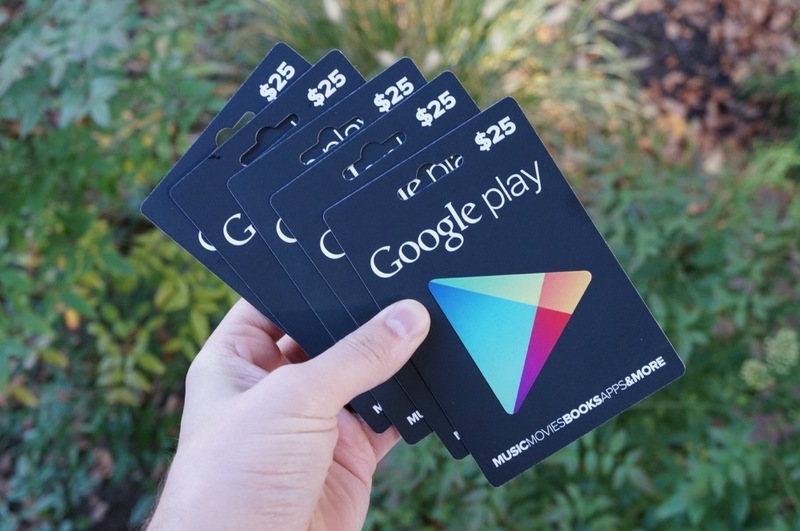 We have five (5) $25 Google Play gift cards to hand out to five winners. We’ll choose our winners randomly tomorrow morning at 10AM Pacific.